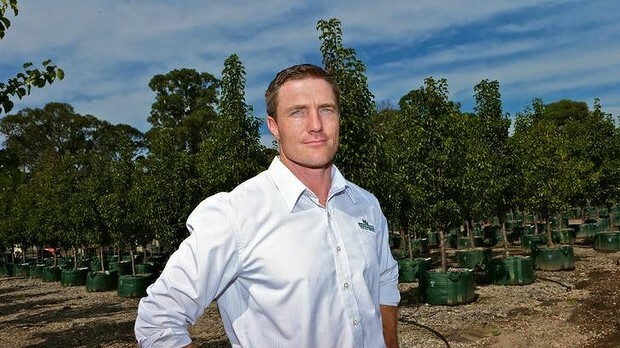 In March 2014 Daniel Ewings of Andreasens Green was announced as the 2014 Young Leader for the Nursery & Garden Industry. Along with winning a tidy sum, Daniel has participated in industry activities and been exposed to opportunities which he says, have been great for his career. “The young leader award has been fantastic for my confidence and my career development. When building my submission, I found the questions that were asked really highlighted key issues that our industry is facing. I was able to relate my submission to projects that I was already working on at Andreasens. If you are thinking about entering the award my advice would be; the written submission process is something that needs to be thought about and not rushed at the last minute. You can use the submission process to display your achievements and back it up with evidence like references from your boss or a client, photos or certificates. My submission qualified me as a finalist which meant I was funded to attend the National Conference for four days. This alone was a great opportunity. As a finalist, you sit for an interview. You get most of the questions before the interview and you get one question on the day. I did a lot of preparation before my interview and was very nervous, however I quickly relaxed once I realised that the judges were all nursery people like me. In the end the interview was more like a general conversation that I would have with other nurseryman about industry issues. Since winning the Heather Rumsey Young Leader award I have gained invaluable industry experience. I have attended a business development training day, participated and presented my ideas to the National Board in Queensland and I have been networking and making great contacts across Australia. I have also received coverage in the Sydney Morning Herald careers section for my work on apprenticeship formats. Winning the award was fantastic not just for me but also for my employer, Andreasens and a great motivator all of our staff. Entries close 22 September 2014. To enter visit www.ngia.com.au or for more information email awards@ngia.com.au of contact us on 02 8861 5100. « Calling all Plant Breeders! » Industry Accreditation Surprise!